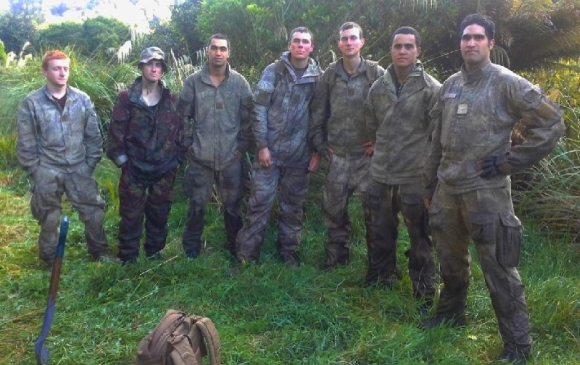 The New Zealand Army recently held a two-week exercise training in Te Urewera National Park. After the exercise had finished, the army arranged a day to give back to DOC and the local community. 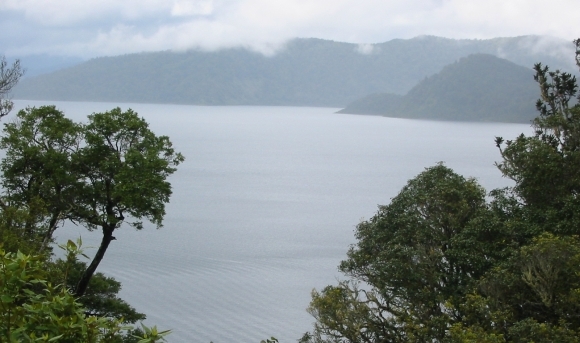 Working alongside DOC rangers ten soldiers cut and marked six kilometres of the Whakatakaa Hut Track and another three kilometres was cut and marked by another seven soldiers. The Biodiversity Team also had ten soldiers cutting and marking whio traplines and another ten building a new kōwhai ngutukaka / kakabeak enclosure along the Ngamoko Track. This was a great way for the army to work with DOC. 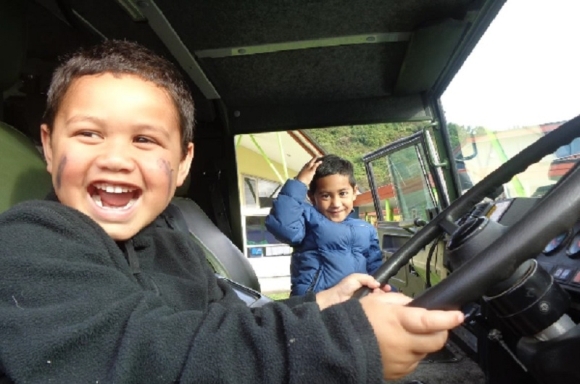 The army were also able to visit the local Te Kura o Waikaremoana School, where the tamariki/children put on kai / food for their manuhiri / visitors. The children thoroughly enjoyed the army visit, especially jumping on and in the Pinzgauer six-wheeler truck, looking at the weapons and eating the army ration packs. Ko enei whakaahua, ko ngaa tamariki harikoa mai Te Kura o Waikaremoana, me nga hoea i awhi mai nga kaimahi a Te Papa Atawhai.